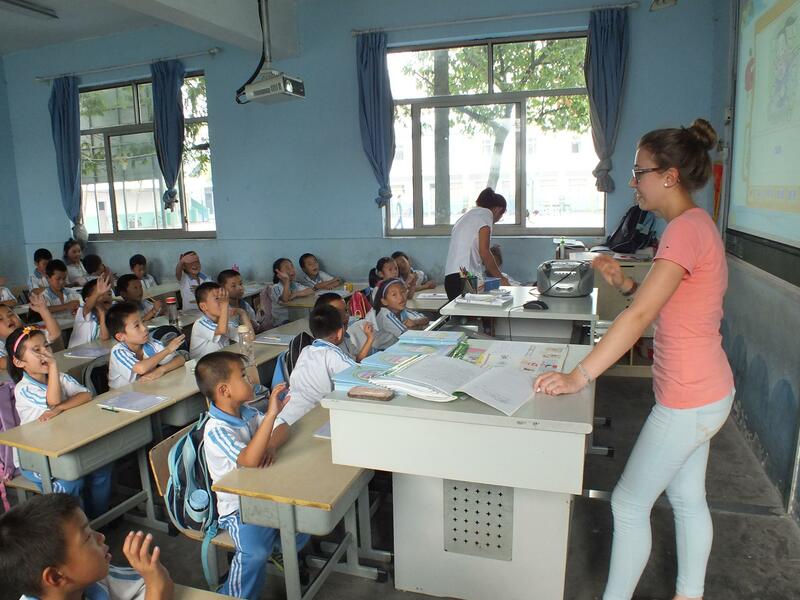 Volunteer as a teacher in China and work with children in rural areas on the outskirts of Shanghai. You’ll focus on teaching English and helping local teachers. This is a great way to get practical classroom experience and help children at the same time. 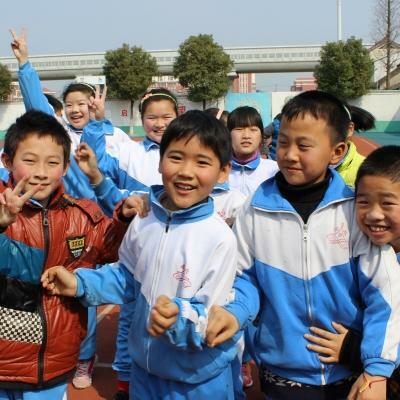 In China, you’ll work alongside teachers in kindergartens and schools. You’ll get practical experience putting together lessons and activities to get the children speaking English and learning new words. You’ll also have opportunities to teach extracurricular classes like music, art, and sports. 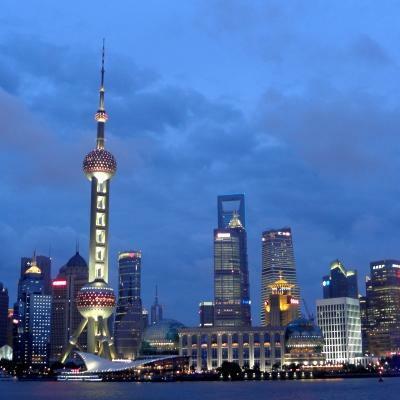 You’ll be based in Shanghai, one of China’s biggest cities, and live in an apartment with other volunteers. 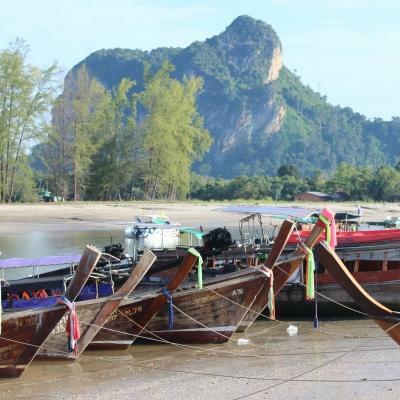 Seize the opportunity to explore a different culture, eat your weight in dumplings, and experience local traditions! 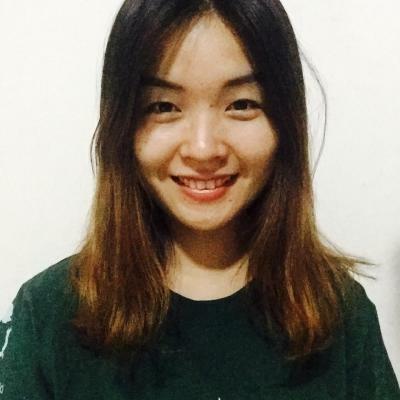 Is teaching in China right for me? 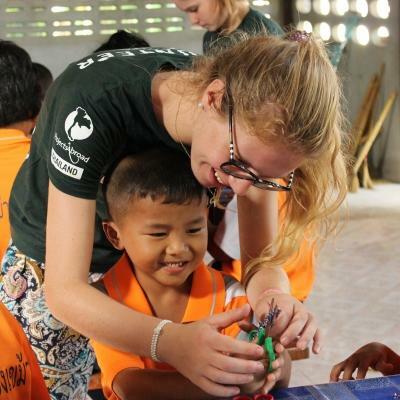 Besides gaining teaching work experience in China, this project will also help you develop other skills. These include management and planning, which you can apply to any career you pursue. Even if you have no experience but are still interested in teaching English, sign up! You’ll receive a full induction from your project supervisor and you won’t be left in the dark when it comes to teaching. Our staff are on hand to give you advice when needed and we run regular workshops for all Teaching volunteers. You can also take a look at our extensive online database for ideas. 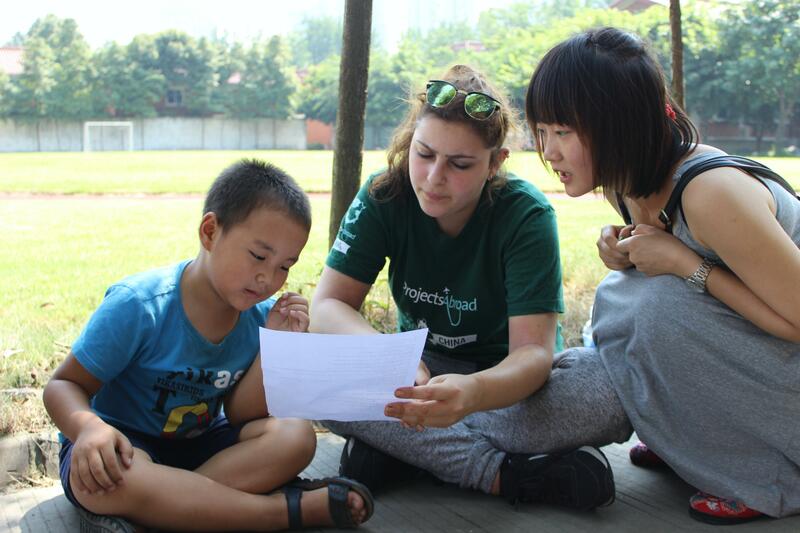 Our volunteer Teaching placements in China run throughout the year. You can join at any time from a minimum of four weeks, and stay as long as you like. Your main role is teaching English in a kindergarten or school. You’ll help students get to grips with the basics through pronunciation exercises and spelling bees. Encourage them to speak by playing fun games and singing songs. It’s also helpful to make resources like flashcards and posters to help teach English. These things are a wonderful addition to the school, and can be used by teachers for years to come. Your teaching experience doesn’t have to end when regular classes finish. 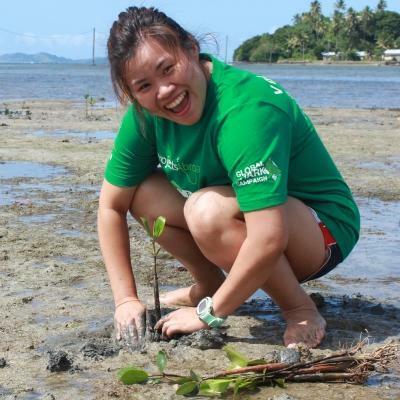 You can get further involved at the school and help teachers with extra-curricular activities. Depending on your skills and interests, you can run music, sports, and art classes. These classes are a huge benefit to the kids, and give them a safe space to be creative and active. Teachers will also appreciate having an extra pair of helping hands! Every lesson needs a clear plan and a goal. Knowing how and what you need to teach every day will give you confidence. It also ensures that the students get the most out of having you in the classroom. Planning is an important skill, and this experience will be a valuable addition to your skill set. We'll help you do this by providing workshops and access to example lesson plans. Where will I be working in China? You’ll live in the Chinese city of Shanghai. Among the neon skylights and high-rise buildings, this city is constantly teeming with people going about their day-to-day lives. 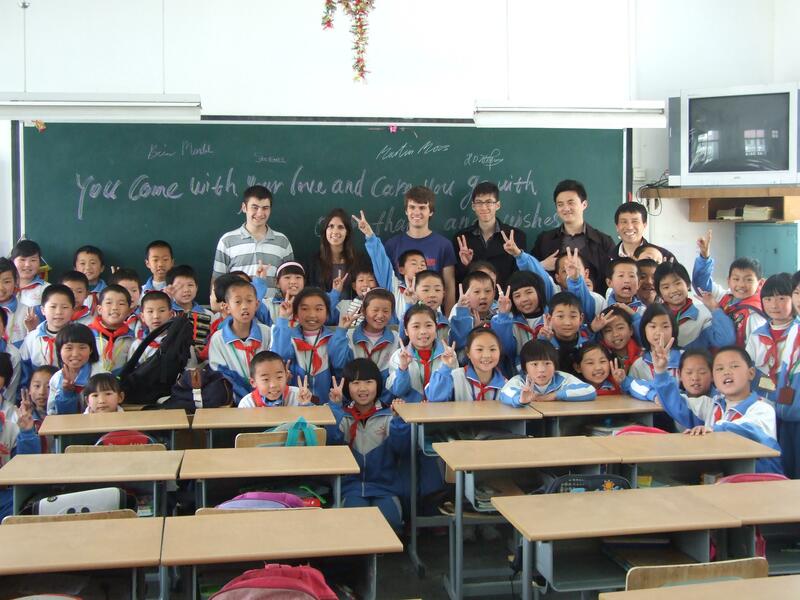 You’ll experience a more traditional setting when you’re at your Teaching placement on the outskirts of Shanghai. 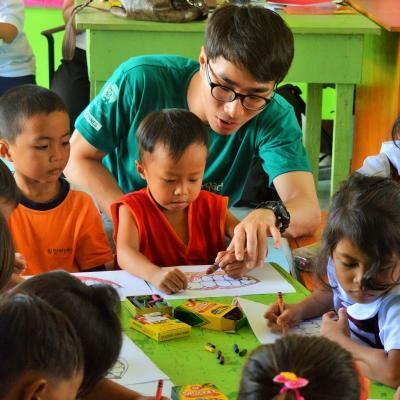 In this rural area, you’ll work at kindergartens and elementary or secondary schools. The people living in these areas don’t have the same access to education that people in cities do. By working with our partner schools, we’re helping students get the education they need to be more be successful later in life. A typical day starts with making breakfast and a packed lunch in your apartment’s communal kitchen. You’ll then take a train to school from the city center. Your journey will be around an hour. Your work day starts at 9am and ends between 4pm and 6pm, Monday to Friday. Depending on your schedule, you’ll either start lesson planning or head straight into your first class. You’ll teach with the school’s English teacher, helping children with pronunciation and keeping them engaged in the lesson. Classes run for between 35-45 minutes each, and you’ll teach between 10 and 15 classes a week. Between 12pm and 1.30pm, you’ll take a break for lunch. This is where you can spend time with the teachers and relax. In the afternoon, you’ll assist with extra-curricular classes. Over the weekend, explore the city with the other volunteers or set out on your own. Sample traditional Chinese dishes and wander through markets in between visiting temples and museums.You can also plan trips to places like the Great Wall of China, an experience you shouldn’t miss! The aim of this project is to raise English levels in rural schools and give teachers more support in the classroom. Many Chinese teachers and parents believe their education system puts unnecessary pressure on children. It involves a lot of memorizing and repetition of content, which is tedious for students. This makes it difficult to retain any information and actively learn. In addition, students in rural don’t have the same opportunities to learn from foreign English teachers that students in cities do. Help us achieve these goals by volunteering to teach English in China. All the people, the teachers, the students, everyone, were incredibly nice and the teaching itself has been one of the most joyful experiences of my life.